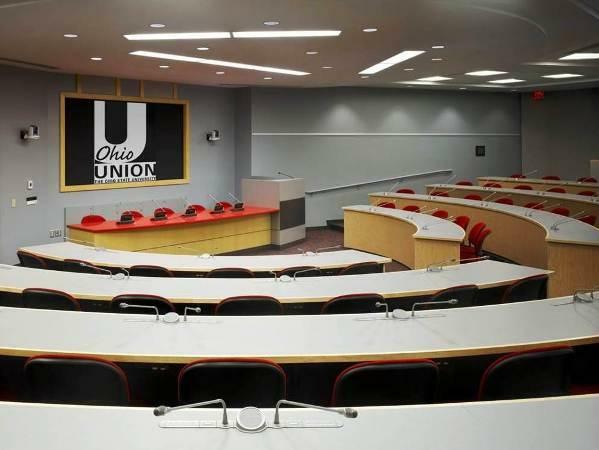 The Ohio Union centrally located in Columbus, Ohio is the perfect place to host your next conference, corporate/board meeting, holiday celebration, wedding reception, banquet, gala/fundraiser and other special events. 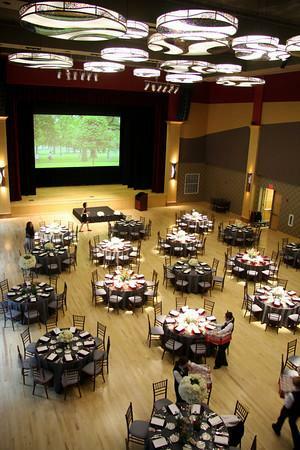 Our 34 dynamic spaces and professional Columbus event services will make your event one to remember. 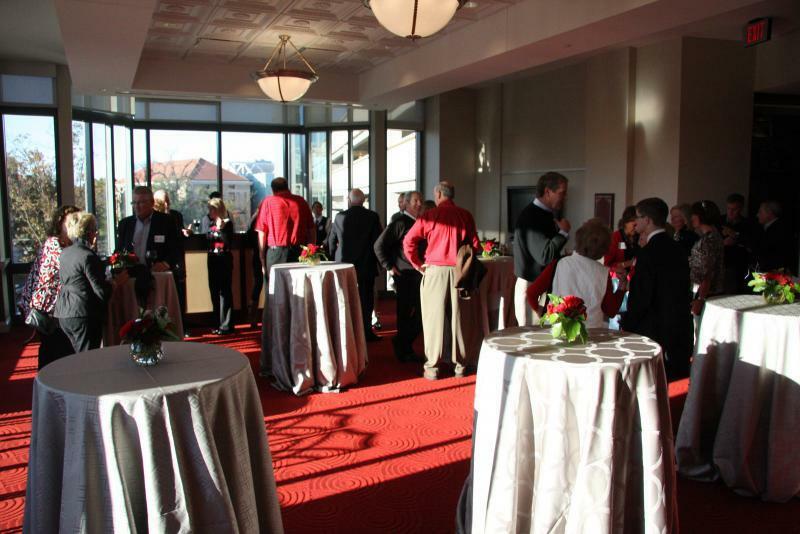 Most of our spaces are flexible and can be set up in banquet, theater and classroom style to best suit your event. 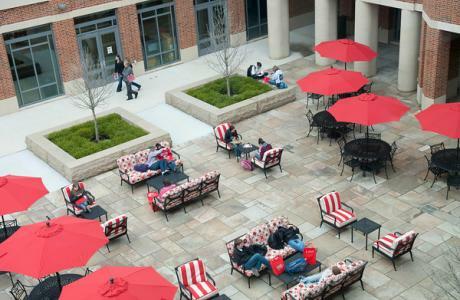 We successfully host many summer conferences in the Ohio Union with summer conference housing available in our residence halls and dining facilities during the months of May, June and July. 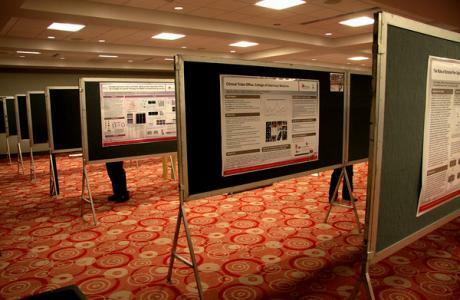 During the academic year, we have hotel accommodations available nearby. 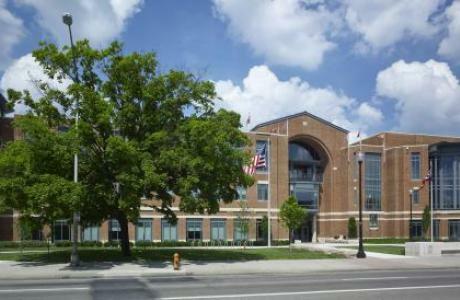 Conveniently located near downtown Columbus, with a wide variety of restaurants, hotels and entertainment. 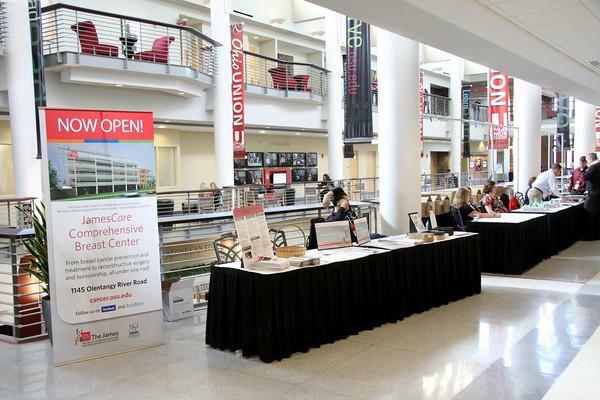 The Ohio State University’s Office of Summer Conference Housing welcomes the opportunity to host your next event in Columbus, Ohio! Each summer season, Summer Conference Housing coordinates the residence hall housing, meeting space and traditional dining experiences of nearly 25,000 guests spread throughout over 125 unique events. No matter the size (1-3,500 guests), subject matter (academic, faith-based or athletic) or scope (state, national and international), we take pride in providing our guests with the finest Buckeye experience possible! View some more of the features below to see why The Ohio State University should be your Columbus event venue for everything from corporate meetings to weddings and more! Providing a pre-consultation meeting to organize and refine your housing, residence hall meeting space and traditional dining needs. Arranging for the delivery of University Services including housing, traditional dining, residence hall facility meeting room needs and more. Providing office services, technology and support. Following up and physically checking on arrangements prior to guests’ arrival, to ensure that all arrangements are delivered as expected and requested. Providing a comprehensive final invoice for all requested services. 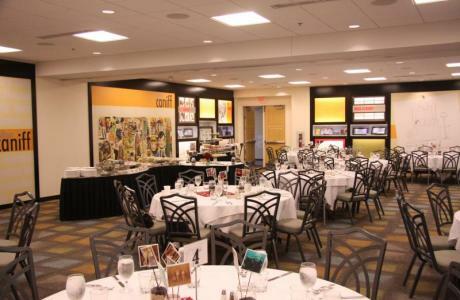 The Ohio Union offers many special event accommodations including built-in audio visual equipment and free wireless internet. 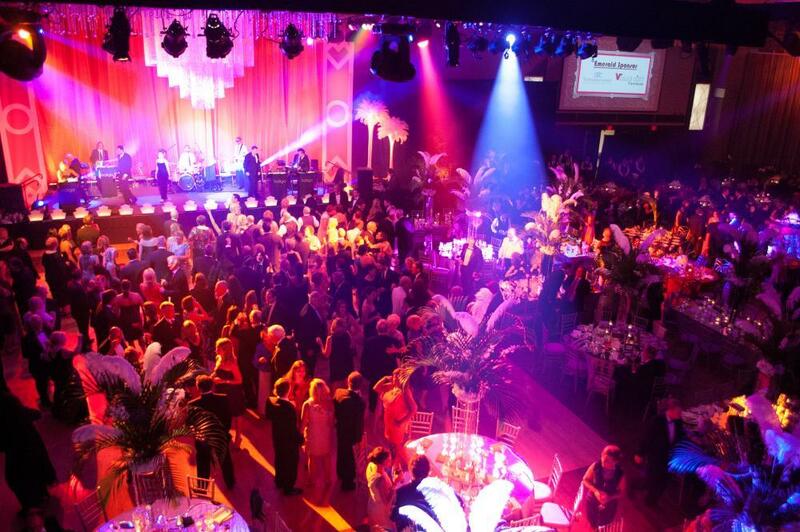 Staging, dance floors, and specialty lighting are available upon request to enhance your event. 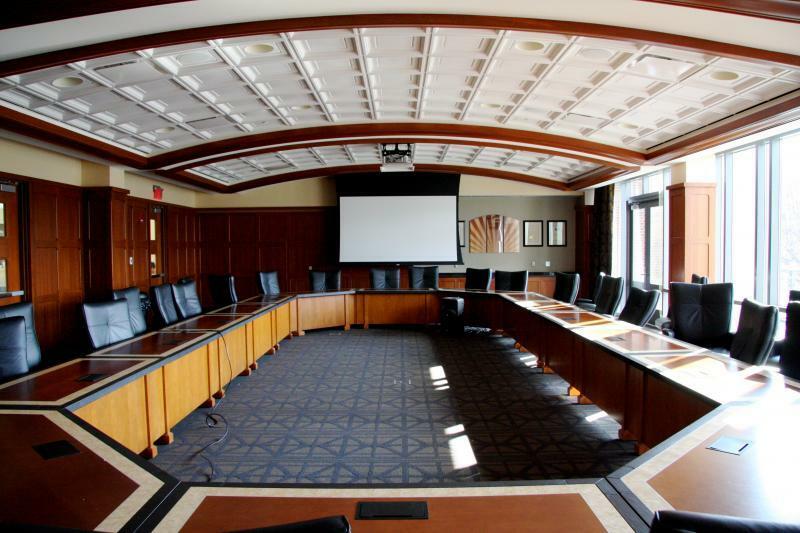 With over 90 LCD screens throughout the building and built-in audio visual equipment, such as LCD projectors and screens in almost every room, the Union is able to accommodate many technology needs. Several spaces boast AV Booths and specialty lighting. University Catering is the exclusive caterer for the Ohio Union. Our talented food and beverage team is eager to enhance your meeting or special event with culinary creations guaranteed to delight your guests! 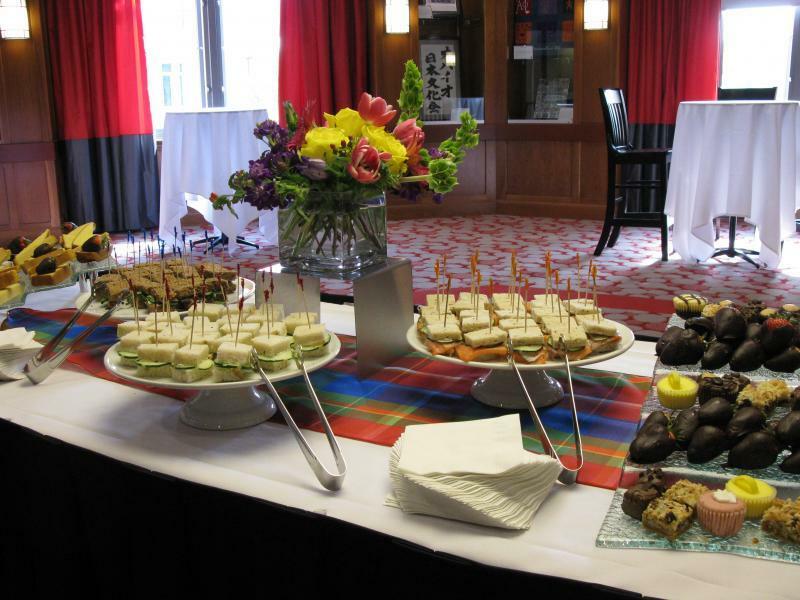 Whether your event calls for a casual lunch buffet, outdoor cocktail reception, or elegant plated dinner, University Catering will prepare a menu that, paired with our innovative event spaces and dedicated staff, will make your event a surefire success. Great Hall Meeting Room	 Located on the first floor of the Ohio Union, the Great Hall Meeting Room is the most versatile room in the building. 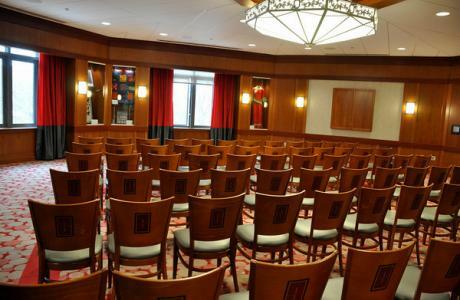 With the ability to divide the room into two medium or three smaller rooms, this space is ideal for receptions, breakout meetings and lectures. Cartoon Room	 Featuring artwork from Ohio State Alumni and local Ohio artists, the Cartoon Room offers a uniquely creative atmosphere. 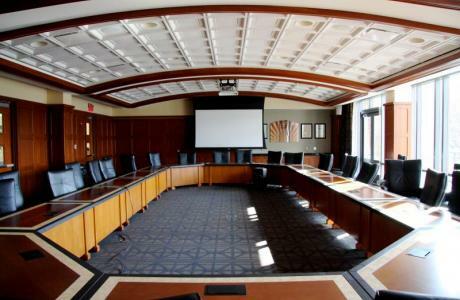 This room is a versatile meeting room that can function as one large meeting space or be split into two smaller sections. US Bank Conference Theater	 This state-of-the-art theater features a built-in stage, tech booth and green room and is a great private space for showing films or hosting seminars, performances and larger meetings. Each seat includes a wooden pull-out desk and a laptop outlet. Archie M. Griffin Grand Ballroom	 Named for two-time Heisman Trophy winner Archie Griffin, the grand ballroom is the largest room in the Ohio Union and one of the largest ballrooms in Central Ohio. With its three beautiful chandeliers and floor-to-ceiling windows, this is the ideal space for large conferences, gatherings and special events. The space can also be divided into the East and West ballrooms, and includes pre-function spaces ideal for registration or buffet tables. 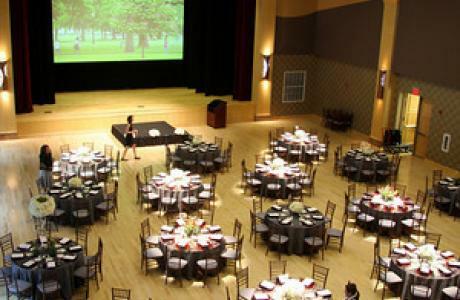 No matter what type of event you're hosting the Archie M. Griffin Grand Ballroom is the perfect space to accommodate every event need. Performance Hall and Potter Plaza	 Known for the beautiful high ceilings, colorful chandeliers and large built-in stage, the Performance Hall is the second largest space in the Ohio Union. 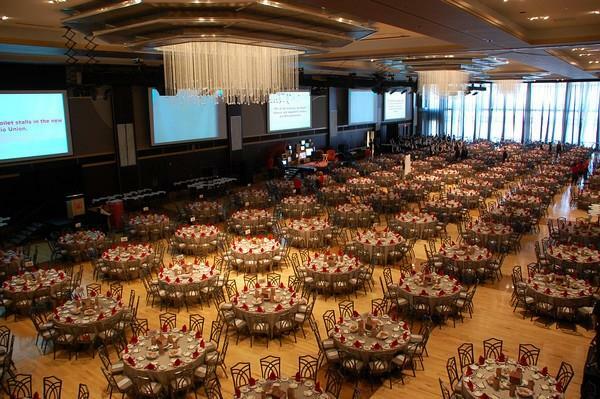 Often used for plenary sessions, banquets, and galas, it’s a great fit for an array of events. Looking for a room with a unique feature? The east wall of the Performance Hall opens up to Potter Plaza, an outdoor area perfect for cocktail receptions or smaller gatherings. These traditional dining venues provide the full range of great-tasting, wholesome, comfort food you crave, with a touch of buckeye inspiration to nourish the minds of tomorrow. 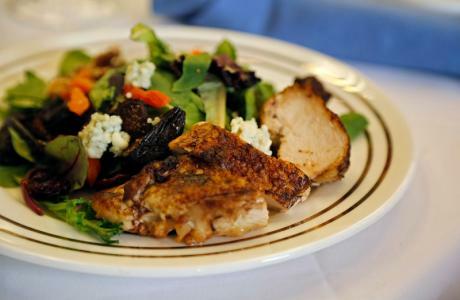 Plus, our Solutions station is exclusively dedicated to guests with vegetarian/vegan preferences and gluten-free or other dietary restrictions. There are three locations convenient to each residential area of campus. In honor of our legendary Coach, Woody's Tavern, located in the Ohio Union, showcases pizza, Ohio's finest beer and wine, popcorn and good old-fashioned root beer. If the six foot high pizza oven alone doesn't make it the campus hot spot, its DJ booth and timeless charm of a brasserie will! Warm-up with a specialty coffee or cool down with a scoop of homemade gelato in the Ohio Union coffee shop, Espress-OH. Conveniently located near the bus stop, stop by Espress-OH for a tasty treat and remember to check for special seasonal coffee creations throughout the year. Additional equipment and service are available on request. 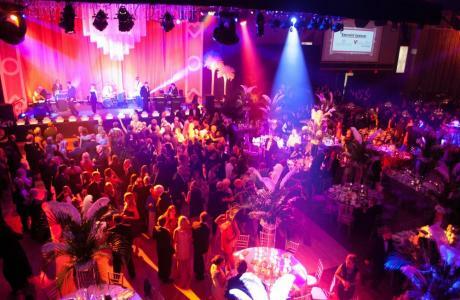 Our event services staff will advise you on equipment, set-up and pricing to ensure your event is a success. The Ohio State University Self-Guided Walking Tour	 A self-guided tour of the unique facilities at Ohio State. Learn the history behind some of Ohio State's oldest academic buildings, wander through the many paths of the Oval, and pass by the Ohio Stadium. Ohio Stadium Tours	 Go behind the scenes at the Ohio Stadium on a guided tour that takes you inside the storied history of Buckeye Football. Short North Arts District	 Known as the art and soul of Columbus, the culturally rich Short North Arts District is a pioneer in the urban revitalization of Central Ohio. Visitors are invited to explore our vibrant neighborhood known for its wide variety of amazing art, dining, nightlife, fashion, home décor, and unique gifts. Wexner Center for the Arts	 The Wexner Center for the Arts is The Ohio State University's multidisciplinary, international laboratory for the exploration and advancement of contemporary art. Through exhibitions, screenings, performances, artist residencies, and education programs, the Wexner Center acts as a forum where established and emerging artists can test ideas and where diverse audiences can participate in cultural experiences that enhance the understanding of the art of our time. "I want to thank you for all of your efforts in supporting our event last week. You were tremendous – you clearly have an exceptional talent in meeting planning and creativity and problem solving! 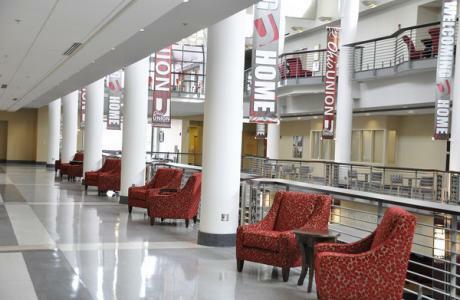 Our members loved the facilities at the Ohio Union. They are beautiful and comfortable, and it was great for all of us to be in an environment with so many energetic students around. Thank you to you and your team!" "We had a lot of positive comments on the food and Ohio Union’s catering this year from our attendees! They were happy with the variety of foods on the breakfast buffet, and the healthy and “real” food options available. 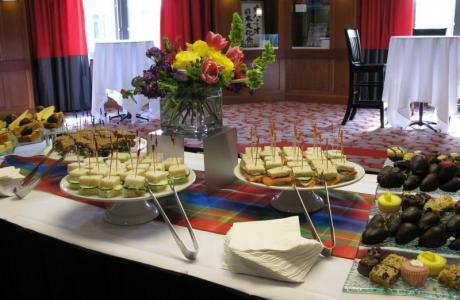 We have a lot of vegetarians, vegans and health-conscious attendees and they were very pleased with the choices. Plus- we greatly appreciated the catering team’s flexibility with tweaking some of the pre-set menu options." I just want to let you know, your AV team was so helpful to me today. They…rushed around to help me; Had an “I’ll do anything I can” attitude; Problem solved when out-of-the-box thinking was critical! ; … and even made a cardboard box to help me! They did not just say, ”Sorry, I can’t help” I am so thankful to them. 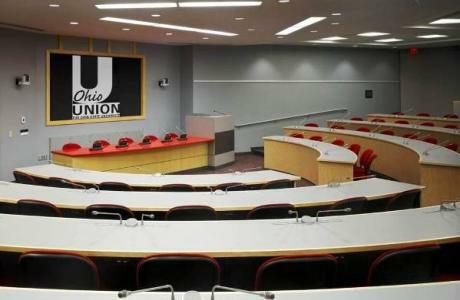 My presentation at the Ohio Union went so well, and it’s all thanks to them!"